Spring-cleaning season has arrived, and for many Kentuckians that means burning unwanted debris. But before you light that burn pile, the Kentucky Division for Air Quality (DAQ) reminds you to “learn before you burn.” Many people may not realize that burning garbage is illegal in Kentucky and could result in fines of up to $25,000 per day per violation. 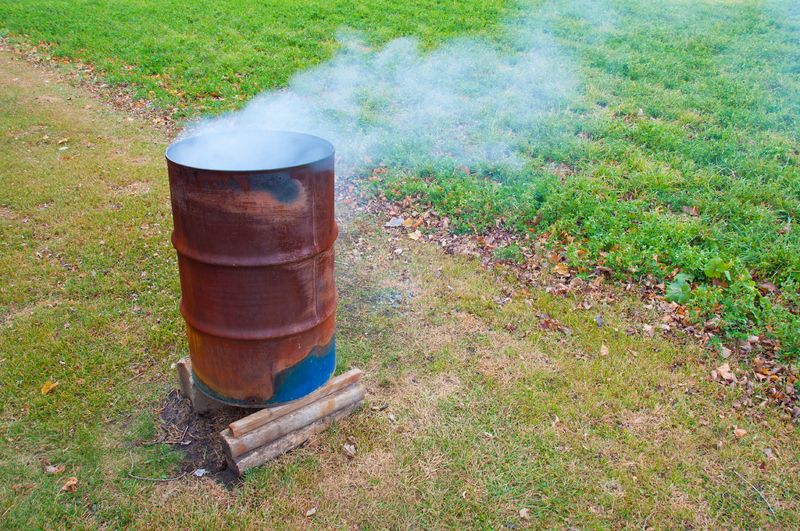 When it comes to managing household waste, all too often, people think that burning their trash is an acceptable means of disposal. But, for Kentucky’s air quality, open burning is a significant source of complaints, emissions, and contributes to adverse health effects. Ozone season has officially begun in Kentucky, and for some counties that means taking extra care to learn before you burn. From May through September, open burning in Boone, Boyd, Bullitt, Campbell, Jefferson, Kenton, Lawrence, and Oldham counties is restricted to protect air quality. Ground level ozone is a summertime pollutant, created when pollutants chemically react in the atmosphere in the presence of heat and sunlight. Spring-cleaning season is just around the corner, and for many Kentuckians that means burning unwanted debris. The Kentucky Division for Air Quality (DAQ) reminds you to learn before you burn. Illegal burning could result in fines of up to $25,000 per day per violation. Smoke from open burning is a health problem that affects everyone, but especially children, the elderly, and those with existing ailments like asthma. Children are particularly sensitive to air pollution from open burning, because their bodies are still developing. Children also breathe 50 percent more oxygen per pound of body weight than adults do, so their lungs are exposed to more harmful pollutants. For many Kentucky counties, September 30 marked the end of ozone season restrictions to open burning that have been in place to protect air quality. But before lighting up the back yard burn pile, the Kentucky Department for Environmental Protection reminds you to take precautions to prevent that burn from getting out of hand. October 1 marks the beginning of the fall Fire Hazard Season.